Did you just rip up your old carpet to install new floors but you have no place to put the old carpet? Are you sick of having old junk in your house because it is cluttering up your home? No worries. Removing your junk can be a simple process that may not take as long as you think it will. Go into every room of your house and find what needs to be thrown out. Take everything that you don’t want anymore and put it into one big pile in one of the rooms in your house. This will make sorting through everything much easier. Separate the pile into three categories: what you want, what you do not want and what you are not sure you want to throw out. From there, you can put away everything that you still want and make decisions on the pile that you are not sure of. Once everything is sorted, you should just have one pile full of things that you want to throw away. If a lot of your junk is salvageable and/or are items that you just grew out of or can’t use anymore, then donate them. Goodwill™ is always looking for toys, furniture, clothes and other items that people would otherwise throw out. Give the items to somebody who could really use them instead of just chucking them into a landfill. For the items that are unsalvageable, bring them to a place that recycles old material into new items. This will not only help the economy by using less to produce more, but it will help the environment by reducing the amount of new materials that have to be used in order to create these products. Many trees could be saved if people would just recycle the things they can no longer use. For items that you can’t use, donate or recycle, you can chuck them into a dumpster to be brought to a landfill. Landfills are there to use when garbage needs to be thrown out, but the hope is that people will start to throw out their garbage more wisely to save some space and help the environment. After all, this is the planet you live on and if you don’t take care of it, then who will? If you follow these few simple steps, then you will have the junk removed from your home much more quickly than you think. Donate used items that you no longer want and recycle old items that can’t be used anymore. When all is said and done and you still have a pile of unsalvageable items, throw them away for good. Trash is trash, but if something can be used by somebody else, then you shouldn’t throw it away. One person’s trash is another man’s treasure, after all. 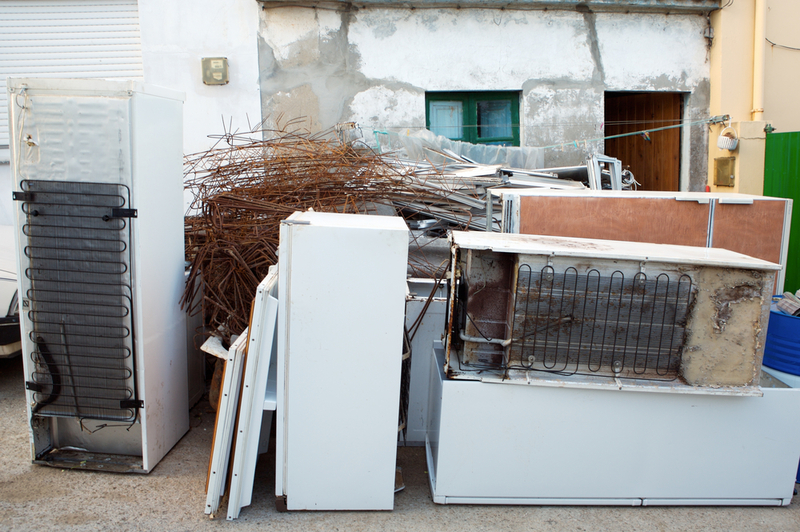 Hopefully these tips have given you a method to junk removal that you will use for the rest of your life.